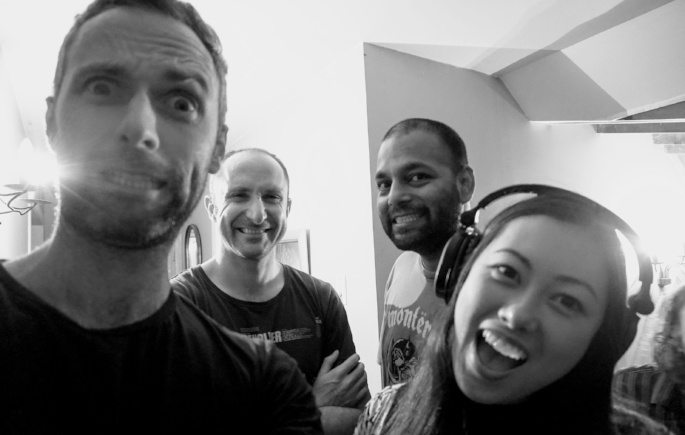 SushiCats is a four-piece funk rock outfit formed in Auckland from the edges of the internet in 2013. With influences including RHCP, Parliament & Joplin; SushiCats smashes together funk infused rock with sultry femme vocals and fast-paced lyrics that will get you doing the running man or the sprinkler all over your Viaduct cocktail. They like heavy baselines, disco drum-beats, thick guitar riffs and are partial to sultry girls who lure you in just to kick you out. Currently working on their first album and music video, SushiCats gig regularly around Auckland's music and festival scene.